Siretta linkCONNECT – intelligent managed modem solutions are used in electric charger stations to automate the delivery of energy to the vehicle via a pre configured credit card payment system or validated company credit account. The linkCONNECT solution provides a point to point link to the distribution point and provides a real time device status which can be used to authorise payments and initiate delivery of the service. The management system checks authorisation and provides access to the service directly with detailed statistics which can be obtained from the application to provide performance reports, delivery breakdown and automatically trigger maintenance or service call outs. The Siretta linkCONNECT solution enables remote access to the equipment with a robust and reliable connection. 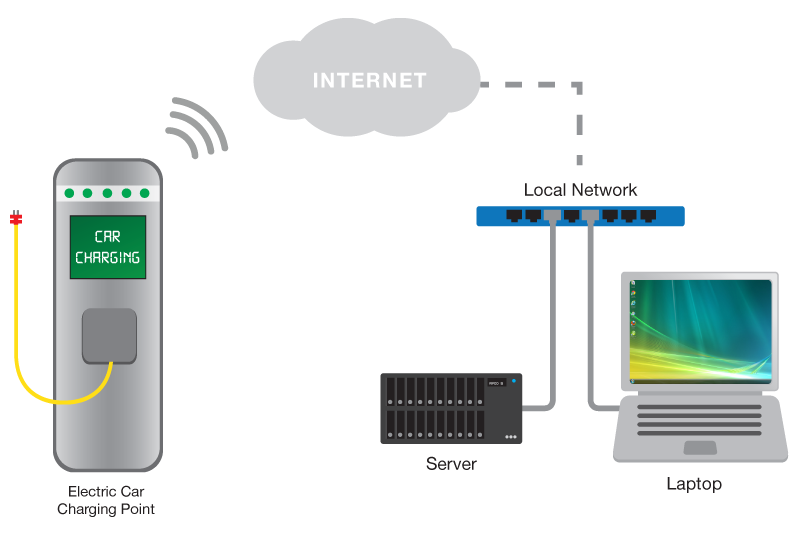 Device connectivity can be affected by the environment and operating conditions which the linkCONNECT solution manages to provide a reliable and stable connection.